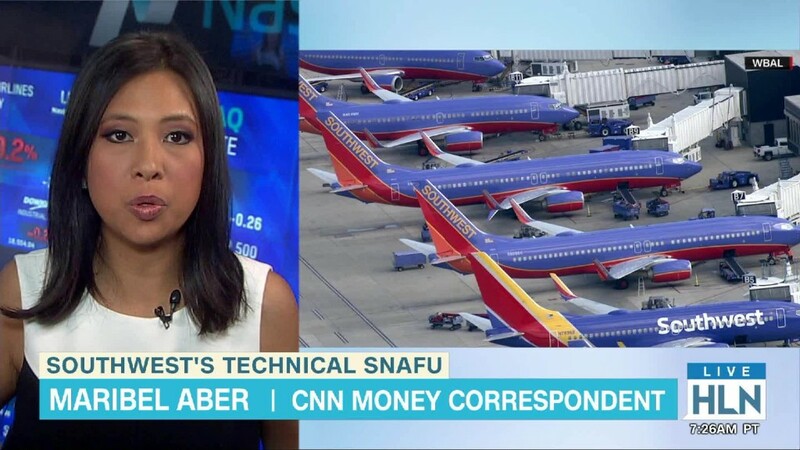 Maybe Southwest Airlines needs to change its ticker symbol from LUV to HATE? The airline -- long a favorite of investors and frequent fliers -- has hit a patch of rough air lately. Shares fell more than 3% Tuesday afternoon. The stock is now down 17% this year. A series of tech glitches last month led to massive cancellations and delays of Southwest flights. A union representing Southwest (LUV) pilots argues that the airline will have more technical glitches in the future. "Senior executives at Southwest Airlines have prioritized short-term stock performance at the expense of long-term investment in people and infrastructure, resulting in the highest level of labor strife and dissatisfaction among frontline employees in the history of Southwest Airlines," said Southwest Airlines Pilots' Association president Jon Weaks in a statement Monday. The union has called for the company to get rid of CEO Gary Kelly and COO Mike Van de Ven. The vote was 20-0 in favor of these executive ousters. The pilots' union said that another union representing aircraft mechanics also wants changes in the Southwest executive suite. Don't bet on that happening though. Randy Babbitt, senior vice president of labor relations for Southwest, characterized the union's statement as "maneuvering" in order to get more favorable terms in upcoming contract talks. "This is about the union's approach to contract discussions and its attempt to gain leverage in negotiations," Babbitt said. "The state of our company demonstrates the excellence of our leaders. It is routinely recognized in every notable forum for its achievements in all areas—financially, operationally, and culturally." It's worth noting that even though Southwest is facing turbulence on Wall Street, its stock has not done as poorly as most of its rivals. Shares of Delta (DAL), American (AAL), United (UAL) and JetBlue (JBLU) have fallen more than 20% so far in 2016. Delta plunged more than 6% Tuesday after saying that passenger revenue per available seat mile -- an important measure of financial health in the airline industry -- was down 7% last month. That was worse than expected, and it's another sign of the problems facing all the airlines right now -- including one-time darling Southwest. So Southwest may need to step up that advertising campaign that pokes fun at all the extra fees its competitors charge if it hopes to win back investors and travelers .. and maybe even its unhappy pilots.